Microsoft has announced the availability of Windows 10 for existing Windows 7 and Windows 8 computers starting July 29th 2015. The upgrade will be provided as a download through Windows Update. Options for downloading as a .ISO media will also be available. Windows 10 is quite large though and for persons such as myself who reside in rural locations, obtaining the software will be quite difficult. Windows 10 is a 3.5 GB download, most metered connections do not support downloading such a large program. So what are you supposed to do if you want to take advantage of the free upgrade? We look at the options available. Microsoft says: "We’ll have options available for users who can’t download through Windows Update." These options have yet to be announced. If you recieved the notification to reserve the Windows 10 upgrade, you will notice the following disclaimer in the app. Yes, free. This limited time upgrade offer is for a full version of Windows 10, not a trial. 3GB download required, internet services frees may apply. Even if you are able to download on a metered connection, overage charges can be significant cost. If you have the option of doing this, make sure you monitor your connection by ensuring it is set to Metered. If you are on a metered connection or monthly data plan, because of the size of the download which is about 2.7 to 3.5 GBs, you might incurr additional data charges if you go over your limit. For instance, suppose your data allotment per month is 2 GBs from your Internet Service Provider. The Windows 10 download is 3 GBs. You download Windows 10 on your 2 GB plan, if you go over the 2 GB allotment, the ISP might charge you for the extra MBs used, which is 1 GB. The ISP might charge extra premium for the additional data you used. For instance, my ISP charges 25 cents per MB for every MB outside of my data alotment of 1 GBs. This means I have to carefully manage my data and ensure it does not go over 1 GB or I will be charged for it. So what are some of the options you have for downloading Windows 10 affordably? Do I have the option of delaying the download? You can configure Windows Update the day before July 29th 2015 to check for updates but let you decide when to install them to avoid having the upgrade download automatically. If you set your Internet connected as metered, Windows Update will not download the upgrade. In Windows 8/8.1, click the View Available Network icon in the system tray, then right click your Internet Connection and select the option to Set as metered connection. Once this is enabled, then Windows Update will download the Upgrade on such a connection. To schedule your automatic updates, next to Install new updates, select the day and time you want updates to occur. If you are located near a library, you can check if they have Internet services which are normally free. Time might be a factor since you are alloted a certain amount of time for such services. The download for Windows 10 can take anywhere from 20 to 45 minutes. So if possible, you could request this in advance. Speak with the Librarian or Network Administrator. They might have restrictions on what type of content can be downloaded. Also choose an appropriate time to go and perform the download. If its after school hours, students might be using the Library computers to complete home work and other school projects. So don't do this during busy hours since this can slow the download or you might reduce network speeds. If you have a good friend with a fast Internet connection, you could ask them if it would be possible for you to download the software on their computer or using your computer. This is especially great if they have Wi-Fi setup, they could let you connect to their network and download it for you. This option incurrs a charge, so be prepared. 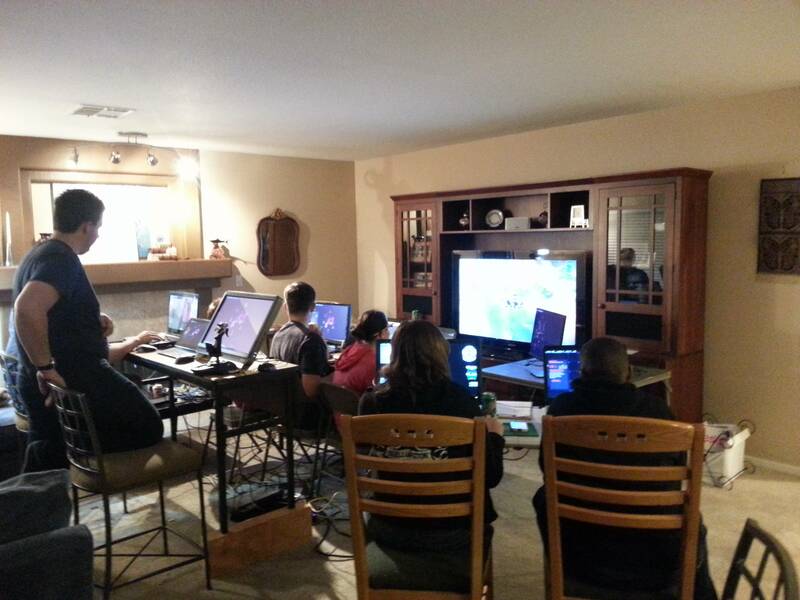 Check your local Internet Cafe in town to find out about their rates per hour. 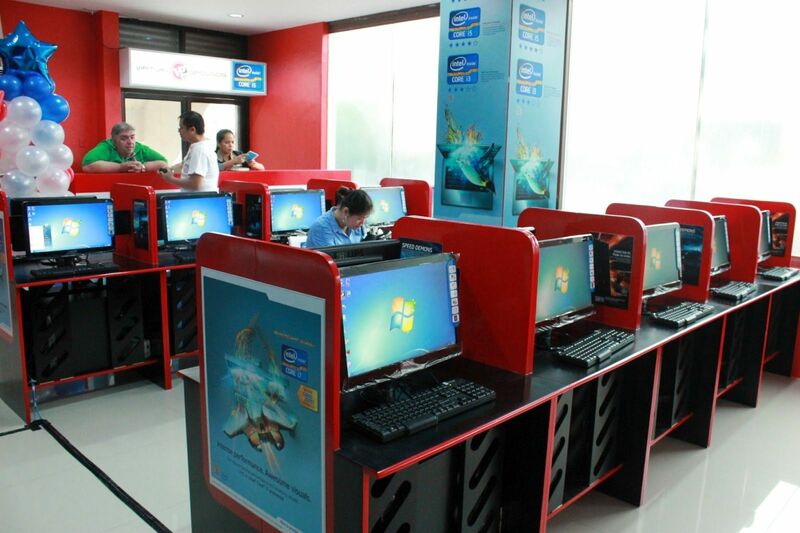 Some Internet cafes will charge extra or less if you use your personal system to perform the download. This is how I perform my large downloads when I need to. Considering this will be a free upgrade, the small fee shouldn't be considered too much as a loss. A local Internet Cafe in my town charges US 1.30 cents per hour when I use my computer. Some computer shops offer upgrade services. This might be the most expensive option, since Internet Services might be charged as a premium in addition to manual labour services. Tips: Create backup media for future needs. Also, you can retrieve the .ESD file from the root of the drive in the C:\Recovery Image folder and create your own bootable copy which you can use for reinstallation purposes. If your computer is UEFI based, these are normally systems that come pre-loaded with Windows 8 or later, you will need to prepare the ISO file for such a configuration or you will receive an error message during setup. The thumbdrive needs to be formatted as FAT32 and use the GPT partitioning scheme. To do this, you need to use Rufus, a small tool you can download for free. I know how to get either scheduled unmetered time, or on-demand fast service, but how can I get the actual download in the time window? Metered connections is one of the features of Windows 8 which was not present in Windows 7. Still is big question how to schedule the download? As usual, Microsoft can provide you with a whole long-winded explanation which completely fails to provide an answer. What MS needs to have is a way to do your upgrade from the reservation, but the upgrade should be able to look to a local DVD or USB to pull it's files. Just because the developers at MS are sitting down the hall from the source server on a 1 or 10gigabit connection, doesn't mean anybody else is. You could be on dialup, or in one of those locations where Cr*pcast has decided to impose a usage cap. Personally, I would prefer to go to my brother's house where he has Fios, call the download from there, then write it to disk and use that for upgrading *all* the machines I'd have to upgrade (family members on DSL or other limited connections). Come on, folks, it can't be that hard. Linux has done it for over 20 years, you'd think the programming "geniuses" at MS could figure it out by now. Heck, they could steal it from Linux or *BSD, they way they discover all their other "innovations". You're totally right. By the way, did I just see a Windows XP boot screen in that library photo? I am using Win8.1 Home edition and I can't get anything about "metered connection" to show up when I right click on Any of the network icons. Right now I'm on LAN and not Wifi. I have looked everywhere and no "metered Connection" anywhere. I wonder if the author was on the PRO version? The only wifi I have access to will not allow more than 2.8GB - delaying the download will not help. I need to cut it into two separate download sessions. Residing in very remote isolated area. No alternative internet access. Microsoft lives in it's own delusional, fictional world where everyone has unlimited 10GB network access. MS couldn't get a clue if you smacked them up aside the head with a clue-by-four. All of their update procedures will be based upon this delusion. Well I think the best possible way is that you go to an internet café, if possible and have someone working there download it for you, and you pay for the download time, it it delays. If Microsoft does not add more ways to download, for example as you mentioned to download in two parts, then I think that the only solution left will be to download by torrent, which I know might be unsafe, but sure way to get it, considering your internet access conditions. Let us know if that helps or if we can be of any further help, since Microsoft will not. Wouldn't it be easier if, for those on limited internet access for whatever reason, the ISO was mailed on DVD/USB?